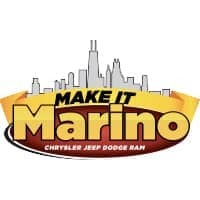 At Marino Chrysler Jeep Dodge Ram (CJDR), we’re always looking for ways to please and impress our customers in the South Chicago, Skokie, and Forest Park areas. Whether it’s with our diverse inventory of high-quality Chrysler, Dodge, Jeep, and Ram vehicles, or our unparalleled customer service, we at Marino CJDR take pride in our work and our abilities to have our customers leave happy. This is the Marino Pledge. We also Make It FAST with TRANSPARENT PRICING and our 30-MINUTE DELIVERY! With our 30-minute guaranteed delivery, we’ll have your new car ready and delivered to you within 30 minutes. We want you to get your new vehicle as soon as possible so you can start to enjoy it by taking it out on the road and seeing what it can do. We Make It EASY with NO FAST TALK and NO FINE PRINT! At Marino, we provide upfront, transparent pricing with no hidden fees and we present all factory paperwork, rebates & qualifying incentives. We make it easy for all our customers by helping them every step of the way. Why Buy from Marino CJDR? While we have a wide variety of different makes and models in our inventory, it’s our customer service that brings people back to Marino CJDR. We’re an Accredited Business with the Better Business Bureau, where have an A+ Rating. Our customers have always been happy with the services we provide, as well as with our attention to details when it comes to finding them the right car at the right price. Since our doors first opened in 2007, we’ve been actively trying to build our reputation as one of the most reliable dealerships in the South Chicago, Skokie, Forest Park, and surrounding areas. 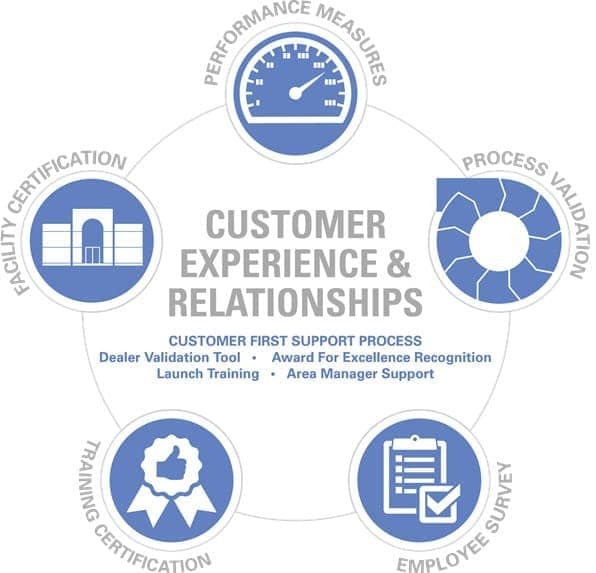 Due to our returning guests and our customer ratings, we feel we’ve succeeded in our goals as being one of the most reliable dealerships in the area, but we’re continuing to improve in helping our customers. Are you in the market for a new car? Do you want to make it FUN, FAST, and EASY? Stop by Marino Chrysler Jeep Dodge Ram and say hi. We’ll be sure to provide a unique and memorable experience while you’re looking for your next car to get you around. At Marino CJDR, we’re always happy to help. Not willing to work with poor credit. Won’t even answer the phone. How Do We Best the Competition? In a simple game of ratings, there are local dealers who come close to matching our automotive experience. But in the end, those negative reviews are all too glaring. Let’s show you how we intend to one-up our competitors. All credit histories are welcome here. It might pose a little challenge, but trust us, our finance team can handle it. These experts have the knowledge and the experience to get you approved for the car of your dreams. We don’t want to trick you into paying more. Quite the opposite, actually. We have tons of deals and incentives available on our website just to help you save even more. We’re true to our word. If we tell you no down payment, or offer you a quote online, we mean it. Things aren’t going to suddenly change when you show up on our lot. Contact us anytime. You can call or submit an inquiry online—whatever works for you! We operate on your time, not ours. And we’re always ready to listen. No false advertising here. We’re all about transparency. From listing our entire inventory of new, used, and pre-owned vehicles online to offering straightforward pricing, we’re not interested in a run-around. Chicago, Skokie, and Park Ridge customers can read reviews on the internet all day long. But the only way to know if a dealership is right for you is to drive on down and see it in person. Stop by Marino Chrysler Jeep Dodge Ram today to understand why our customers keep coming back! *Customer must provide genuine offer in writing. Offer must be on the same year, make, model, and trim level. †Chrysler Group LLC ranking in 2015 and 2016, combined sales and service.